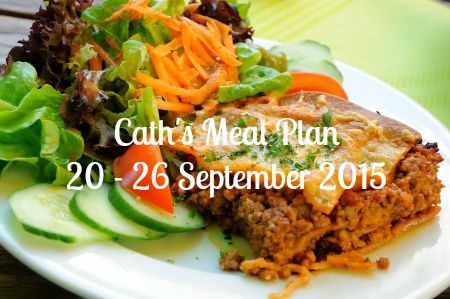 Easy meals this week, I have a lot in my diary and getting dinner on the table each night needs to be quick, easy and "anyone can do it". Everything is in the freezer: the Sausage Casserole, Cream Cheese Patties, Refrigerator Lasagne, MOO pizza bases, chicken casserole and fillings and pastry for pies. It's just a matter of taking them out of the freezer and putting them into the fridge to thaw the day before they're needed and most of dinner is done. While the savoury is heating the veggies can be steaming or we can be putting the salad on the plates and any temptation to dial for pizza or send one of the kids for fish'n'chips just disappears, and our money stays in the bank to be used on things we really want and will really enjoy.